By Camilla Buchanan, Senior Policy Advisor, Department for Digital, Culture, Media and Sport. 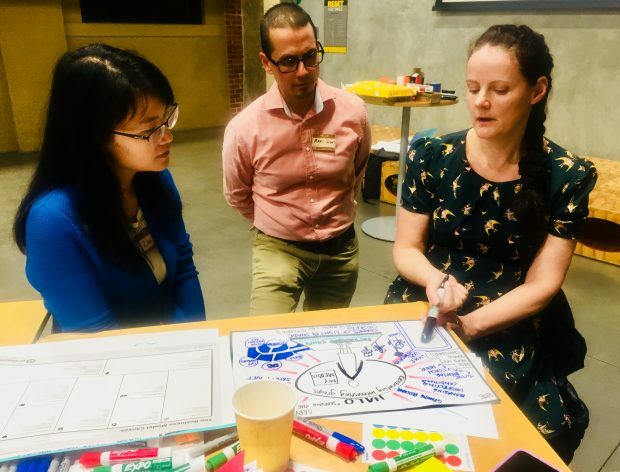 Prototyping for Policy is the name of a conference that was held by The Legal Design Lab at the d.School at Stanford University in November 2018. It investigated different facets of how the worlds of strategy and design meet - with lawyers, policy makers, tech folk and designers. Prototyping is common in the product and industrial design process - it has also extended to less tangible design sub-specialisms like service design. Prototypes are low fidelity mockups of an imagined idea or solution and they allow for testing before implementation. A product can be tested in cardboard form, a website can be tested through a hand drawn wireframe, a service interaction can be tested with roleplay. 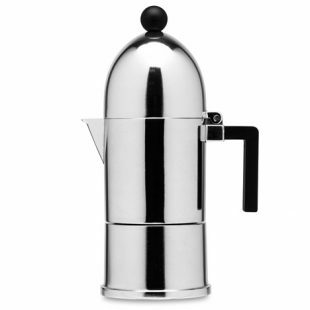 The concept sketch and model of an espresso maker below, are classic examples of industrial design prototypes. Policy is a more hazy concept, it implies a message or statement of intent which sets a direction of work. Before a policy statement is made there will be some form of strategic conversation. In governments this usually takes place at the political level amongst ministers or within political parties and there is little scope for outsiders to enter these spaces. Policies set by elected officials tend to be high-level statements - as short as a line or two in a manifesto - expressed through speeches or other policy documents like White Papers. A policy statement therefore expresses a goal and it sets in motion realisations of that goal through laws, programmes or other activities. A short policy statement can determine major programmes of government work for many years. Policy programmes have their own problem spaces to define and there is much to do in order to translate a policy goal into practical activities. Whether consciously or not, policy programmes touch the lives of millions of people and the unintended consequences or conflicting results from the enactment of poor policies can be extremely harmful. The potential benefits of testing policy goals before they are put in place are therefore huge. The idea of design interacting directly with policy making has been explored in the last five or so years, and the first book on this subject was published in 2014. In government terms this work is very new and there is relatively little precision in current explanations. Prototyping for Policy made space to explore this better. One of the issues considered at the conference was the idea of how to define a policy prototype. It is still early days for articulating exactly how and why the “physical making” aspect of design is so important in government contexts but almost all designers working in this way will emphasis it. An obvious benefit to building something real is that operational errors become more evident. And because prototypes make ideas manifest, they can help to build consensus or reveal where it is absent. They are also a way of asking questions and the presence of a prototype often prompts discussion of broader issues. In relation to policy, a prototype might be a demonstration of how to implement a policy goal through an artefact like a beta website or a draft business model for a new organisation. A prototype could also be used way upstream of a final solution, to test something small or obvious, as a step to realising a wider goal. Prototypes therefore enable a policy to be viewed and experienced as material reality - although the testing aspect of prototyping involves some openness to failure which is no easy sell in politics. 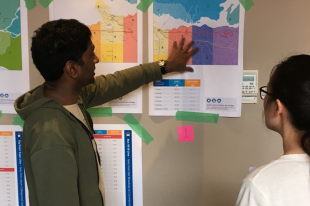 As an example, the picture below shows staff from the Service Design team at the consultancy OpenRoad in Vancouver considering advanced prototypes of changes to transit fare policy for the city for their client TransLink. Another issue that came up at the conference, which I’ve considered over the years, is where designers can best intervene in the policy process. The vast majority of design and policy work is focussed on how policies are implemented, once a policy goal has already been set. This can be hugely impactful. For example, it is common in policy making to know the ends of the continuum - a broad goal and the desired outcome are expressed in a policy statement. However the process to travel between intent and action can be unclear; delivering on a policy goal is sometimes like feeling through the dark. 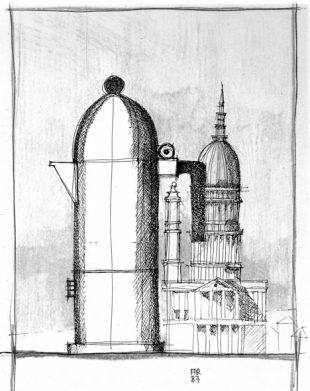 Design is in some sense a process driven activity, comprising common concrete steps that move ideas from research to testing then implementation. It can therefore provide the much needed structure and method to work on a policy problem, especially where the content is little-understood. As an example between 2015-18, I commissioned design work as a civil servant with the UK Government Inclusive Economy Unit to help us fulfill a policy goal of enabling more charities and social enterprises to access social investment. Over three years we partnered with some of the best designers I know from Snook, The Point People and Design Council. 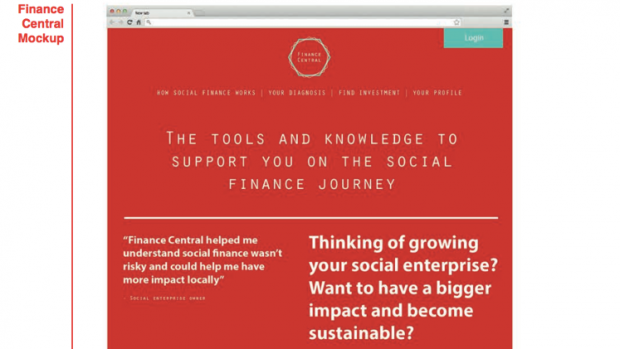 Their work in partnership with sector organisations like Big Society Capital and Access Foundation resulted in Good Finance, which is a digital platform about social investment. Using design resulted in a radical improvement to how our policy could be accessed, but it did not change the policy itself. This does not mean that design cannot be used to test policy goals but the practical reality of gaining access to political conversations is almost always prohibitive. 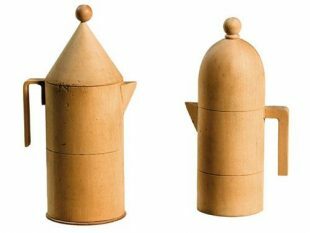 Designers therefore need to be tactical and opportunistic about focusing their energy on where to effect change, which is usually once a policy direction has been announced, or to build very strong relations with individual politicians. Nor does it mean that the aspiration for design should be to solely improve policy implementation. In 2018, I ran a research project with the Parsons DESIS Lab looking in part at how the government design sector is maturing in New York. Many of the practitioners we spoke to expressed a strong desire to move their work to strategic and political parts of government. The ambition is the right one, but it has to be matched with practical knowledge about where it is possible to make a difference in the current early phase of this work. To illustrate this, a few years ago I participated in a policy project led by an outstanding designer to prototype a change to legislation. It was overwritten after two years of work because of an amendment to another UK policy, the Freedom of Information Act. This does not mean there was no value in the work, but the more politically savvy designers are the more fluently they will be able to anticipate changes in the policy landscape - although these are sometimes unavoidable, as with the legislation project. The situation is arguably different for people working to imagine new policy possibilities from outside of government, such as charities, think tanks and other organisations doing advocacy work. Or for those with rare moments of agency to influence policy goals from within - including teams like the UK Policy Lab. When there is scope to imagine new policy possibilities, prototypes can be used to illustrate proposed ideas - presenting a tangible example of how a new policy might work is a powerful alternative to conventional forms of policy influencing, such as written recommendations or calls for evidence. A prototype of a policy could also enable more transparency and participation; it is usually easier for people who are unfamiliar with government processes to engage with a tangible object than reams of text. There is another issue for designers working in policy contexts to consider. Their work often reveals the lived reality and daily frustrations of ill-thought through policy decisions. But designers, like civil servants or other government suppliers, are bound by contractual constraints. Given the access they are gaining, there is a role for stronger more activist voices amongst designers. This requires them to move inside and outside of government, for example from policy teams to advocacy organisations, and to work within an ecosystem of people enacting change on government policies in different places. The agitating potential of designers is by no means a bad thing for government and initiatives like the Democracy and Design Platform, created by the international network of DESIS Labs, illustrate this intention. To finish, the point I am making is not that prototyping cannot be used to determine a policy goal - it could be and to great effect - but that the political realities of government mean that at present most policy design work is enabling better implementation. We need to be clear about this in order to be effective. The blog is influenced by discussions with @AndreaSiodmok; @ChelseaMauldin; @margarethagan; @gordonr; @desisparsons; @garycazalet; @JesperC_; Professor Richard Buchanan. More about Prototyping for Policy here and at #protopolicy.